“As Ministers, our task is to assist our Heads of State and Government to make informed decisions. It is therefore, critical that the Council has to make a deep and through analyses on the operations of the organisation in the implementation of the previous Summit decisions,” said Namibia’s Deputy Prime Minister and Minister of International Relations and Cooperation, Hon Netumbo Nandi-Ndaitwah when she welcomed the delegates to the Council of Ministers Meeting of the 38th SADC Ordinary Summit in Windhoek. 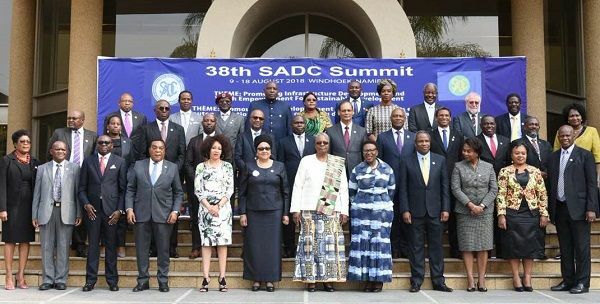 “The chosen Theme for the 38th Summit “Promoting Infrastructure Development and Youth Empowerment for Sustainable Development” is talking to SADC’s main focus, namely, Industrialisation of the region as articulated in the SADC Regional Integrated Strategic Development Plan,” the minister said. “It is a hard reality that we cannot industrialise the region or Africa unless we invest in infrastructure development. In order to ensure sustainable Industrialisation and development, we need our own knowledge. To that end, we must invest in our youth through education, skills training and motivate them to be innovative and entrepreneurs. In creating our own pool of knowledge, we will also ensure our region‘s effective participation in the global industrial value chain,” she added. “SADC has come this far, but we have more distance to cover, once again I welcome you all to Namibia the Land of the Brave. And I am looking forward to a productive meeting,” she concluded.